Need a car? Borrow a Zipcar! Baylor has partnered with Zipcar to bring self-service, on-demand car sharing to the area. To use Zipcars, simply register as a member, reserve a car online or by phone, use your Zipcard to enter the car, and drive away. When you’re done, return the car to the same location where you picked it up. • Access to Zipcars 24/7. • Gas, insurance and maintenance are included for free! • Join for a small annual fee! 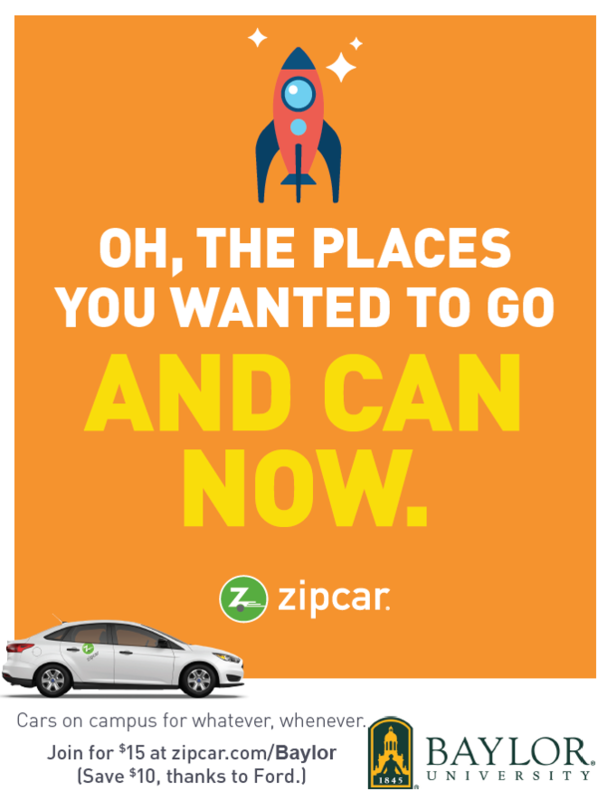 Learn more and get started at zipcar.com/baylor! Is car sharing for me?